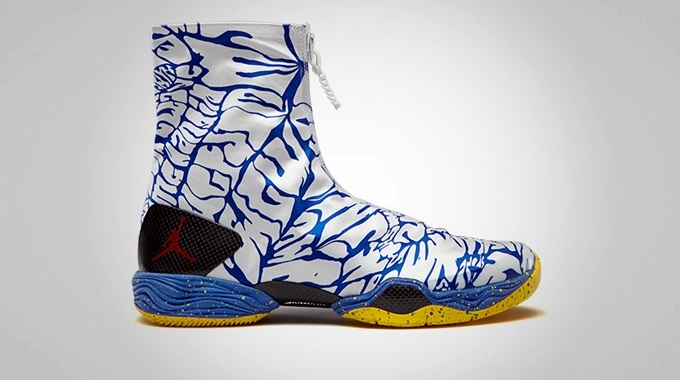 Jordan Brand ramped up their lineup of Air Jordan XX8 this month. After releasing four colorways earlier this month, one more is about to be released before June ends. The shroud-bearing flagship model of JB this year will be coming out in a “Do The Right Thing” colorway, which is officially listed as the White/Gym Red-Photo Blue colorway of the shoe. It features a white and blue shroud and a green inner bootie accented with red Jumpman logo and speckled soles. This shoe is due on June 29th so make sure to watch out for it!